Art as we know it today could not exist had not the revolutionary work of the Renaissance artists paved the way. 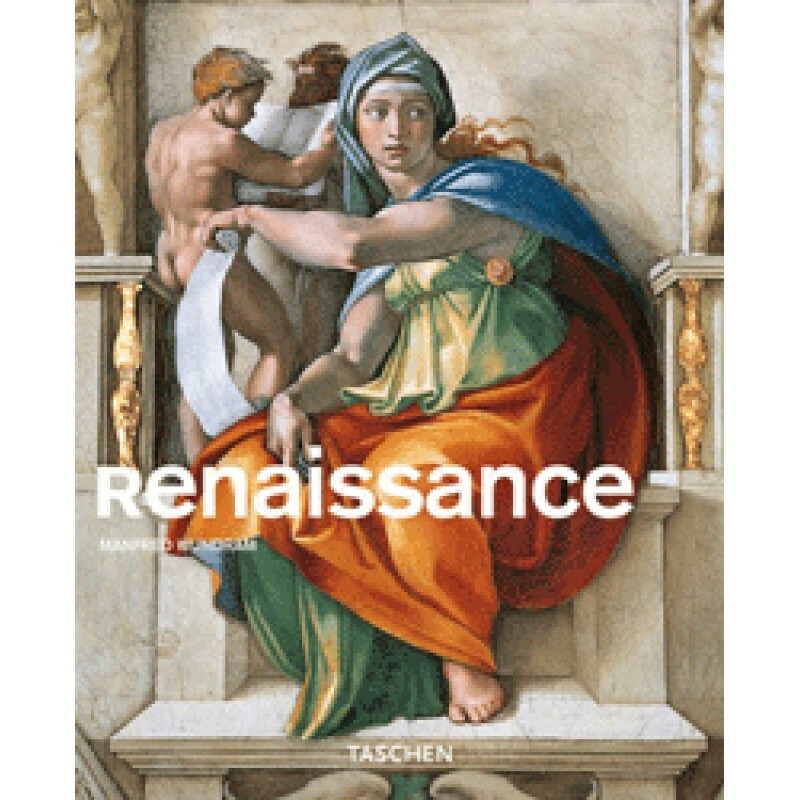 Widely considered the most important and influential movement in the history of fine arts, literature, architecture, and science, the Renaissance marked the emergence of Western civilization from the Middle Ages into the modern era. Beginning in the 14th century in Italy, the movement spread throughout Europe by the late 15th century, the main centers of fine art activity being in Florence, the Low Countries, and Germany. For the first time, art became intellectual; influenced by humanism, artists experimented with secular subjects and revived classical antiquity. Advances in anatomy and geometry produced more realistic depictions in terms of space and perspective for the Italians, while new oil painting techniques made their mark in Flemish painting and woodcuts and engravings were the specialties of the Germans. Manfred Wundram studied art history, archaeology, music history, and German literature. He taught art history at Ruhr University in Bochum for many years and has published widely on Early and High Renaissance. Ingo F. Walther (1940–2007) was born in Berlin and studied medieval studies, literature, and art history in Frankfurt am Main and Munich. He published numerous books on the art of the Middle Ages and of the 19th and 20th centuries. Walther’s many titles for TASCHEN include Vincent Van Gogh, Picasso, Art of the 20th Century, and Codices Illustres.